The morning started with group chat and the guys were complaining to one another as the taxi did not arrive. Due to this delay we started from my place at around 7 AM towards Karol Bagh. By the time we reached Karol bagh the car passengers told they met with two small accidents and the car papers were missing. Next there were no ropes to tie luggage on to the car carriers we used our bungee cords to tie. What a great start I thought! Finally we started our journey with one Innova car and 3 KTM’s (390 and two 200) at around 8:30 -9:00 AM, filled up nitrogen in bike’s tires from Delhi itself and went towards GT Karnal road. First stop with was Amrik Sukdev at Murthal, Sud was very much miffed with the idea of stopping here (why so early?) while Prateek was very firm on eating here. I was explaining to Sud that it’s like a ritual. As usual we had to wait in the morning for an empty table. With all this Sud was very mad and he decided not to eat (typical Sud). Meanwhile I was with Shekar paring the two Bluetooth together (intercom) but was unable to do it. So we paired on to our phone and we started riding while listening to songs. 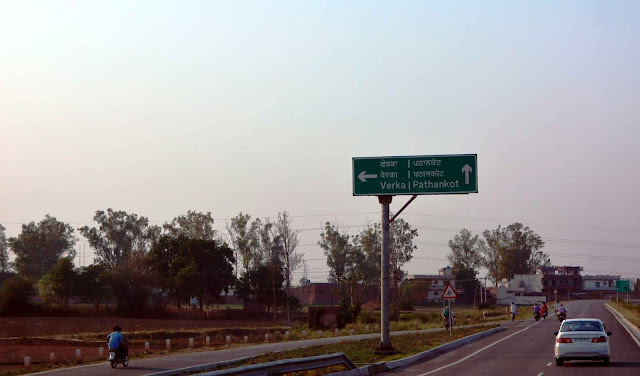 We had to take the left from Ambala towards Ludhiana while the straight roads go to Chandigarh. It was not difficult as there were proper signage on road. As the mercury was rising we had to stop for water quite often while Sud brought a camelback for this trip and was taunting us as how useful it has been to bring it. 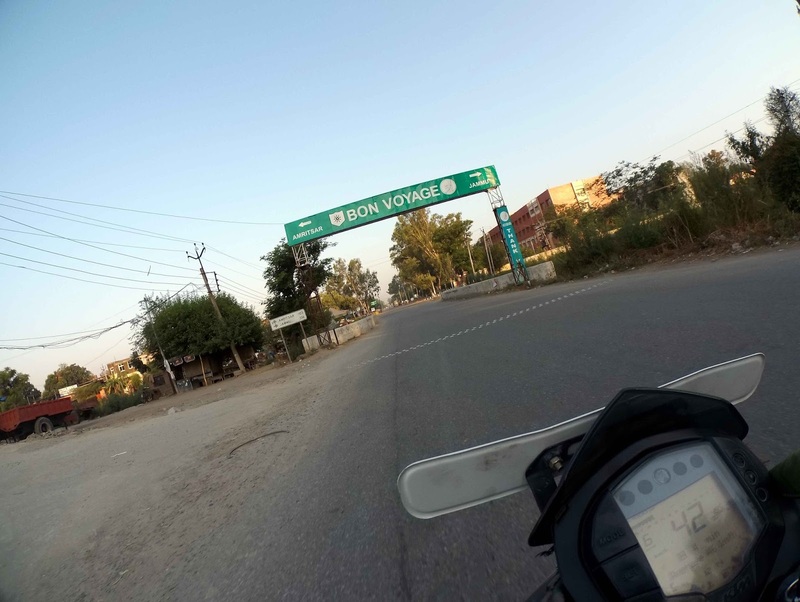 After a short stop we moved ahead to Ludhiana and Jalandhar which was a long ride in the Sun. We stopped in Jalandhar for lunch. 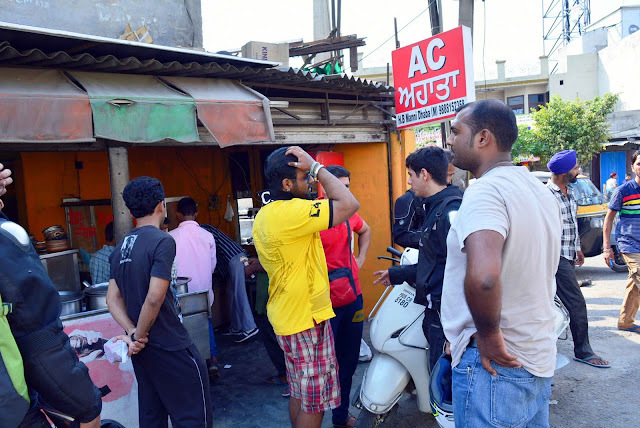 With so much heat outside, we found an AC Dhaba and went inside. Soon some men with few kids came with a bottle of whiskey and started their routine in day time. With all kids around at the table and men drinking we said to our self welcome to Punjab. 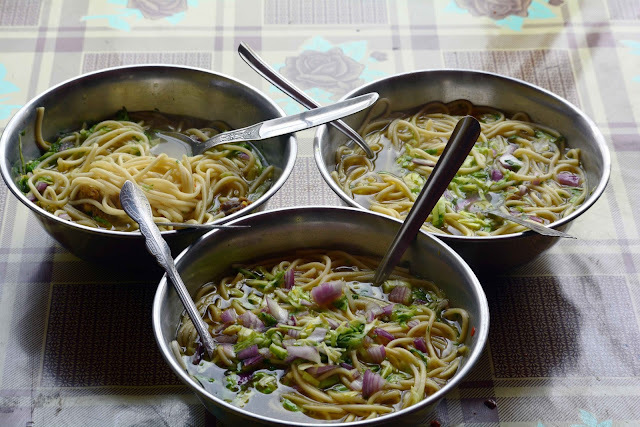 By the time we finished lunch it was 4 pm and we knew that Jammu looks like a distant dream. We started riding from Jalandhar just 15 min of riding and I had to stop for tea and couldn’t go further without it. So with car ahead of us I made the fellow riders stop for tea. Sud and Shekar obliged. At the Dhaba before leaving Sud asks the locals does this road goes to Jammu and the guy said you are lost but if you haven’t stopped you would have reached Amritsar instead .He said go back 2 km and take left the road links to Jammu highway. 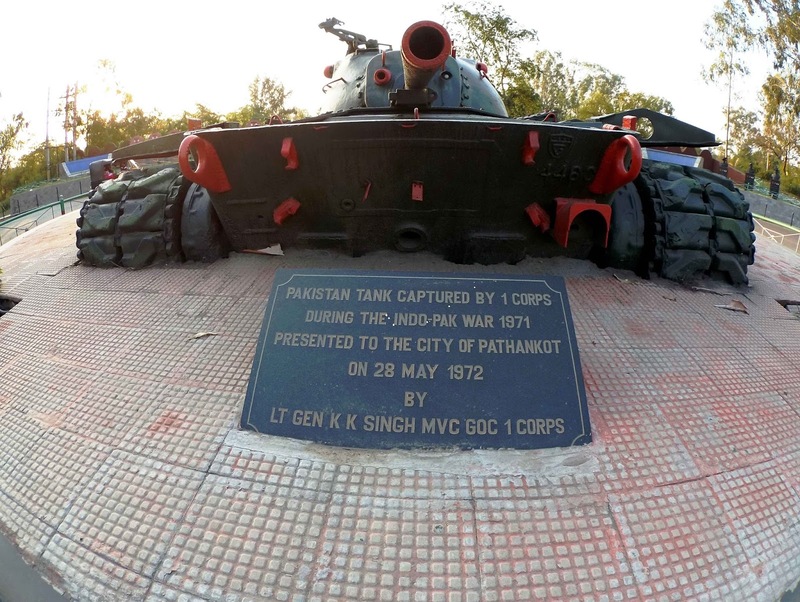 By 6 PM we reached Pathankot. The Sun was about to go down and we decided not to ride in dark. So I called car people to ask them where they have reached. Ideally they were ahead of us, they said they are on the way. I asked them to be precise and they said they are around 45 km from Pathankot.I was little surprised. We had taken a small wrong road and it has been half n hr we reached Pathankot and still the car was behind. 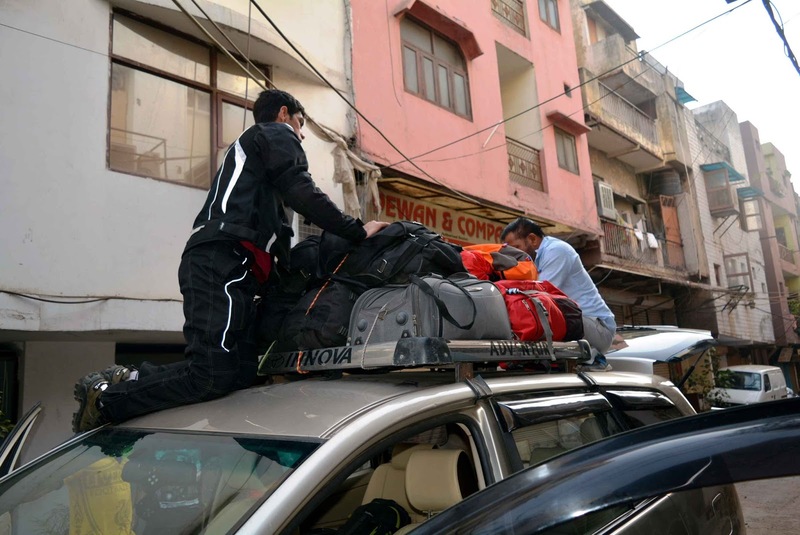 They said they were on the right road they assume just that they all slept in the car .I said to them ok we go search for hotels in Pathankot itself as Jammu was still 110 Km and it was dark already. We went towards the bus stop and checked in “Hotel Unique”, Gurdaspur Road Pathankot. 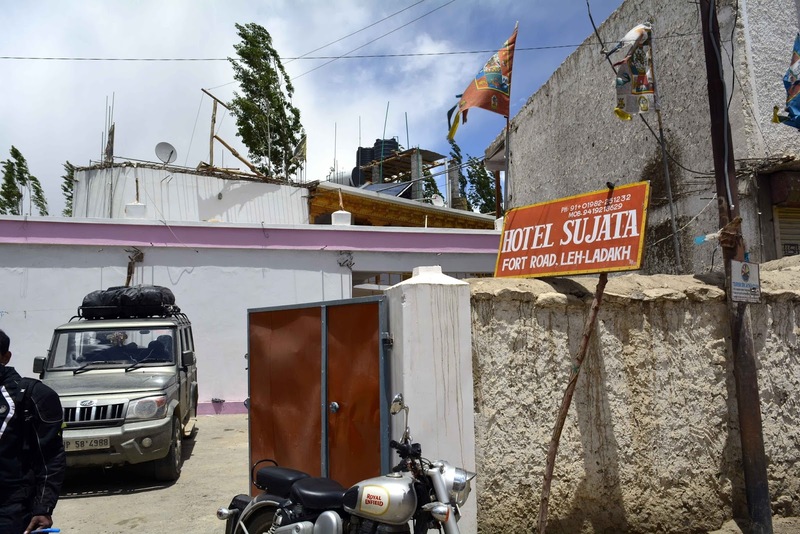 It was a budget hotel and the room tariff was Rs 800-1000.Soon the car people came and I asked Prateek to check the car ODO reading on how much KM car travelled from Delhi. 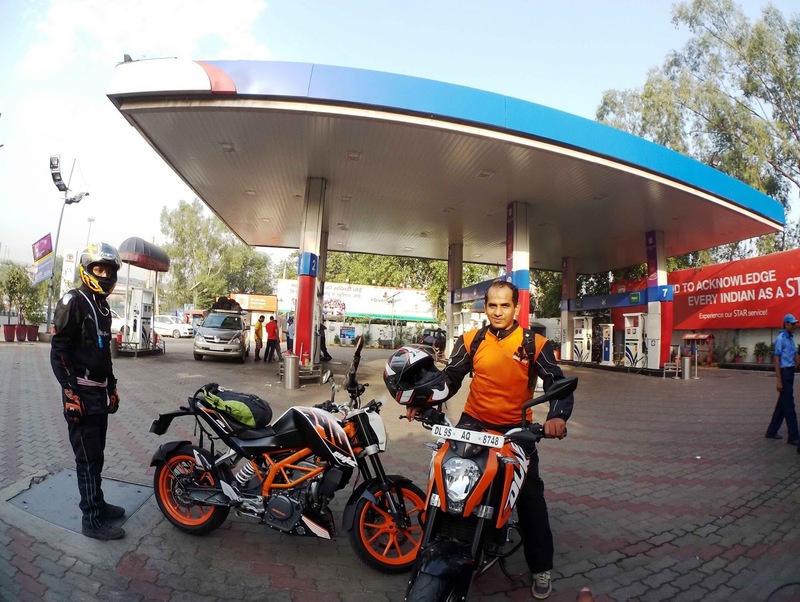 He said 650 KM done and I was laughing hearing it as Jammu itself was 610 KM from Delhi and we are still in Pathankot. They sure have visited Amritsar before coming here. 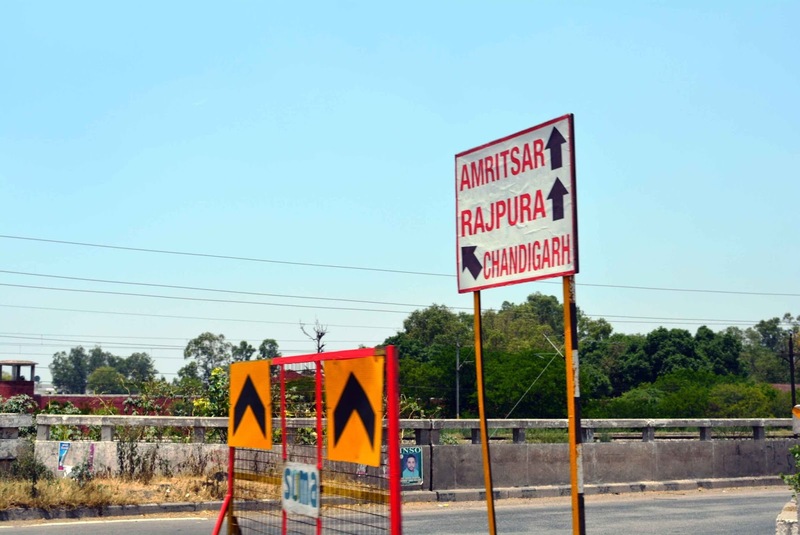 We were discussing that all of us have missed the road from Jalandhar since there were no clear sign boards. 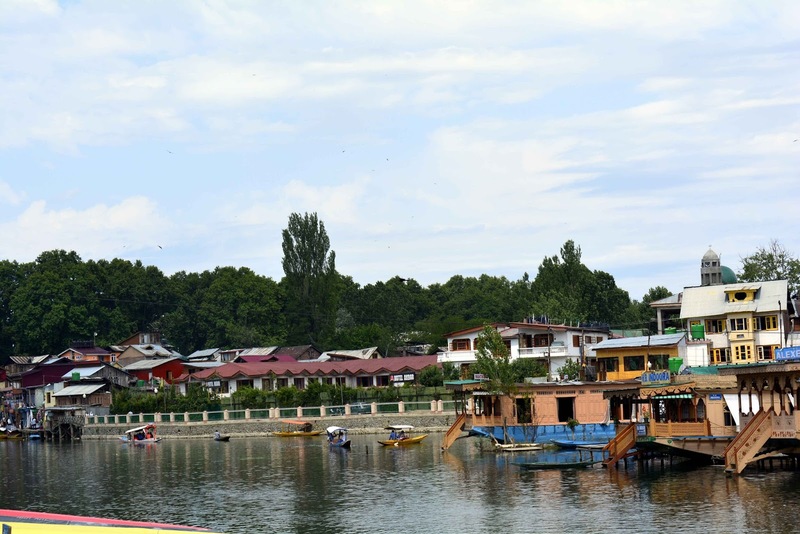 We had planned to go to Srinagar today but I alone started early and was taking a detour which I have told to Sud and Shekar in the night before. 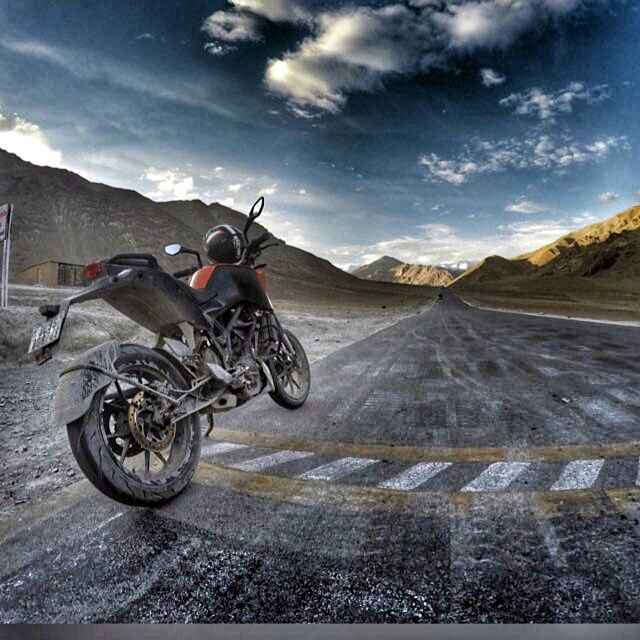 So by 6:30 AM I was on road, started my ride towards Jammu (110 km). It was a decent road and with songs playing in my helmet (thanks to Bluetooth) I was easily doing 3 digits speed and I was saying to myself a solo ride feels so good man! While on the way I met three people at different places. They were standing on road so I thought of helping them. All three initially wanted to go to Jammu. The first guy stopped my bike in between just after 10 min of riding and asked me to drop him. 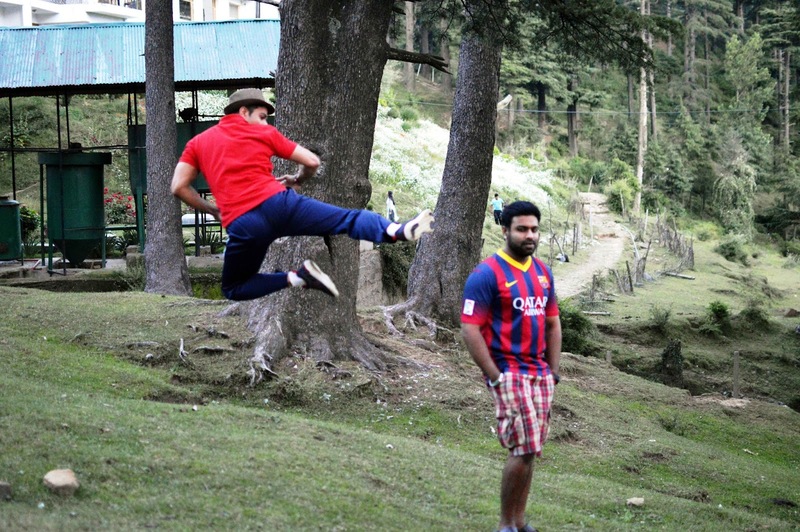 The second guy also wanted to go Jammu but stopped in between (sooner than the first one!). While the third one was an army guy he gave me company till Jammu. In the end he offered a hand shake and said thank you and good bike. 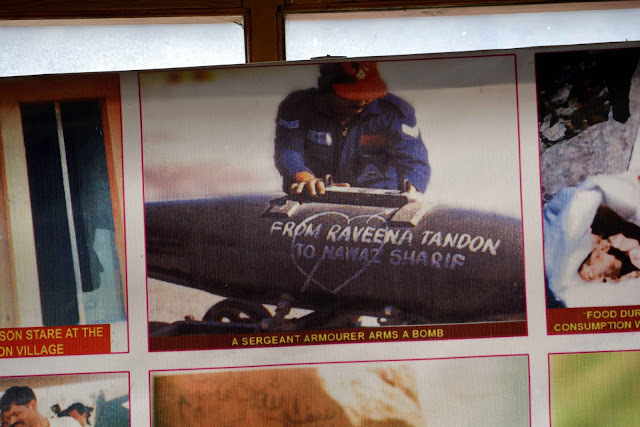 I was wondering why other two guys left so soon when they wanted to reach Jammu! So from Jammu, went to Katra some 45 Km. It took me no time to reach. 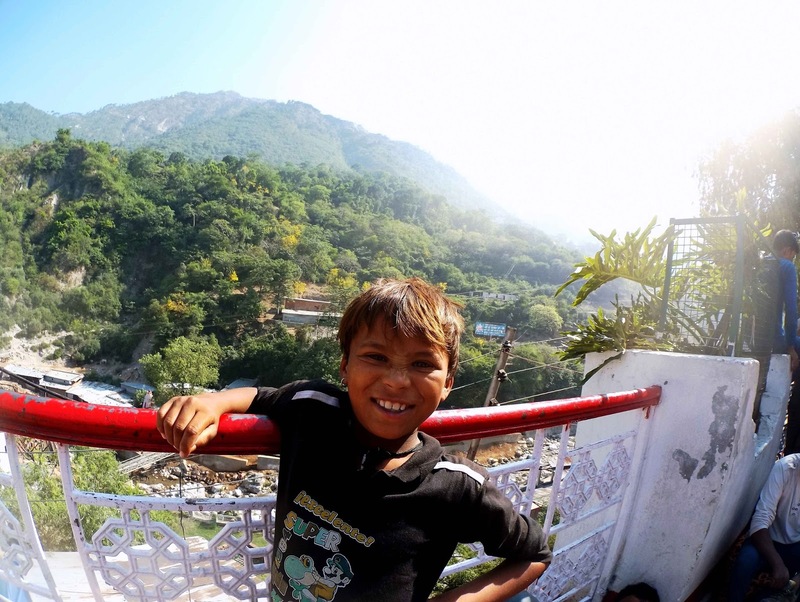 I went straight to base camp Katra and was really happy to reach here. I spoke to some pilgrims who were waiting for their counterparts while taking some pictures. Then I went to the town for breakfast. 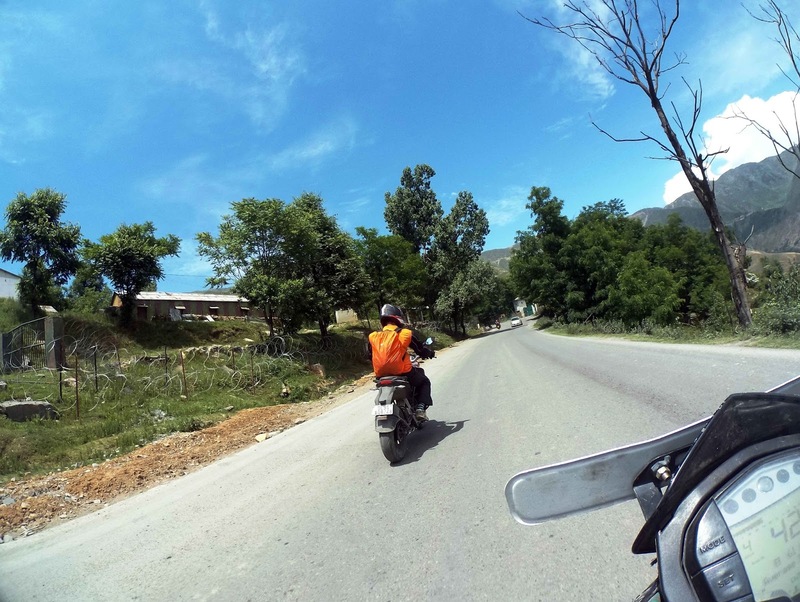 Later took the road which goes to Udhampur highway and told other guys to meet me there as they were coming from Jammu side .Udhampur highway was good and reached Udhampur bypass around 11 AM. 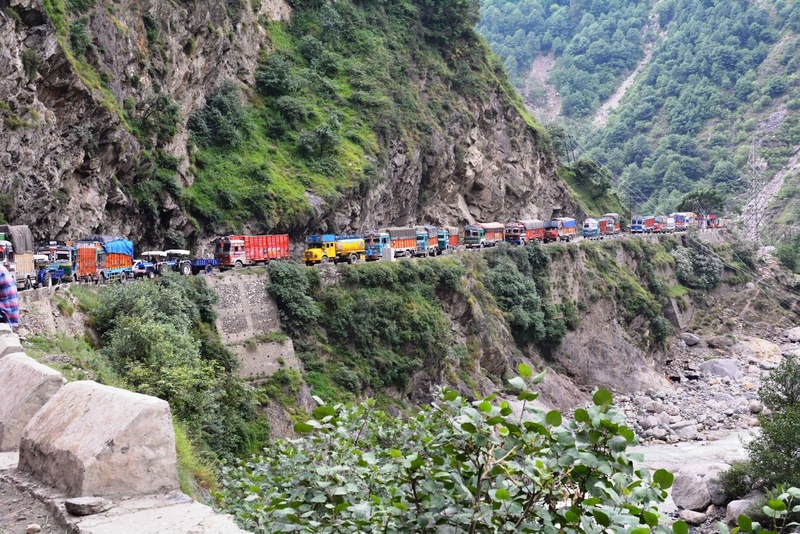 By this time car people haven’t even reached Jammu. So I had to wait for them. To kill some time I went to explore the town, took the left road while the newly constructed bypass was on right. 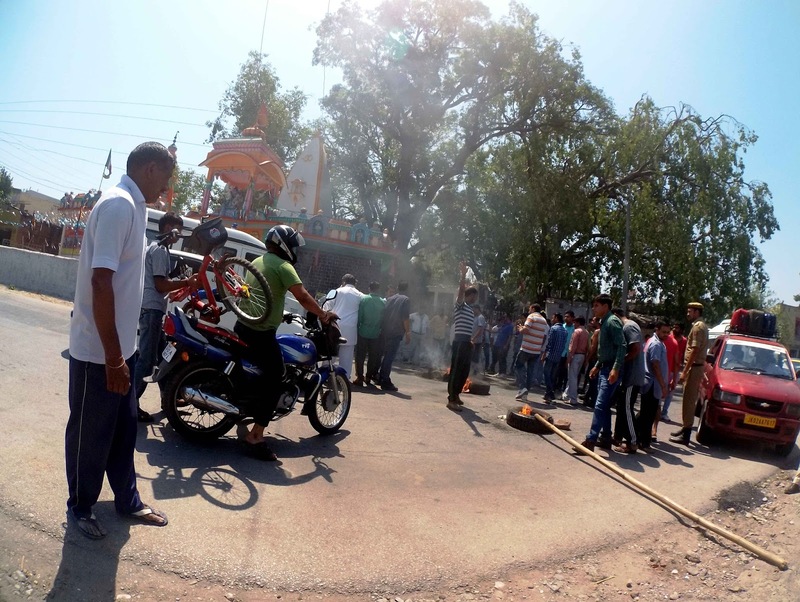 As soon as I reached Udhampur city there was a mob and some people were agitating on road with burning tires and blocking vehicle movement. The Police was just watching them perform. Bikes they allow to pass so I clicked some pictures and went back to the bypass so as to spot the car and bikes and tell them not to take the city route. Outside the city I was able to find a road side cemented platform and in no time was sleeping on it. I waited there for 3 hrs for other guys meanwhile a police personnel came up to chat. We discussed many things about Life, Jobs, Motorcycle, Movies, Travelling, Insurance, Karma, Conscience and other subjects. Then I spotted the riders and I bid adieu to him to join them. Soon Udhampur highway was gone and bad roads begin. 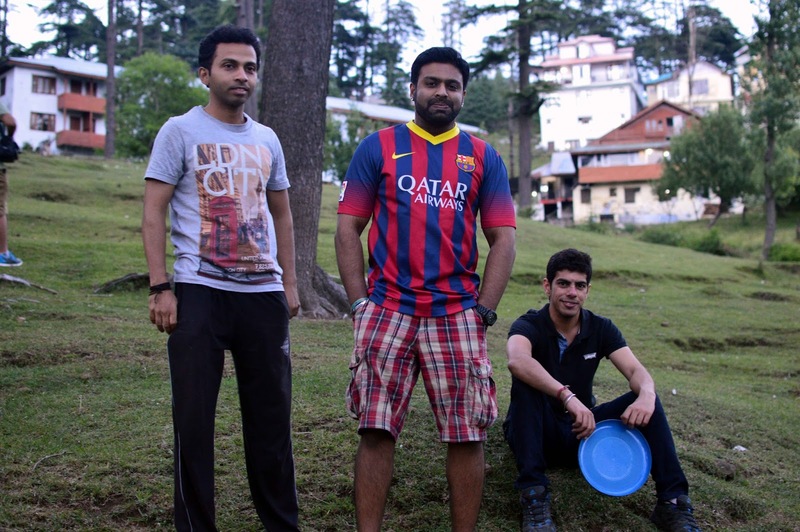 From Udhampur as we reached Patnitop it was around 5 Pm and the weather was changing fast. It was cloudy and was about the rain. 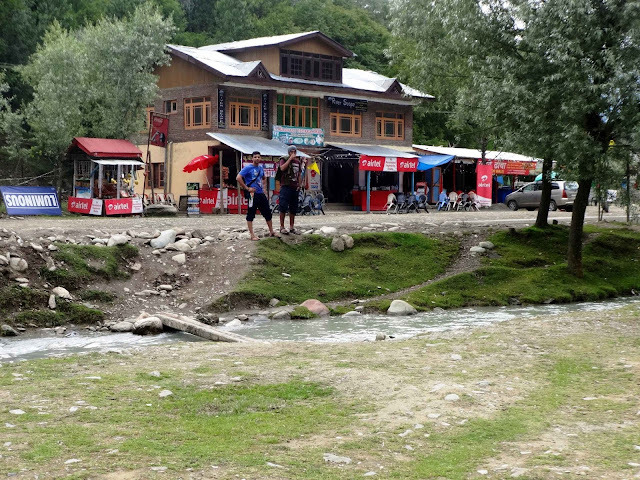 We had some food and with start of rains decided to stop there only for night and not to go further as Srinagar was still 185 KM. I was just thinking, there goes Turtuk and Tso Moriri. We checked in to hotel and then went to play Frisbee and Football down the hill. Patnitop was still a small place. I had visited long time back; with a small market. The liquor shop was the main attraction. For the car people night was still young and we riders already had enough of fun. Every morning was just splendid; there were problems which we were facing every day. We had to put in lot of effort to start Shekar’s rented KTM Duke 200.The cold start sensor was at fault. So we had to drag and run with it for some time till the bike decides to start. 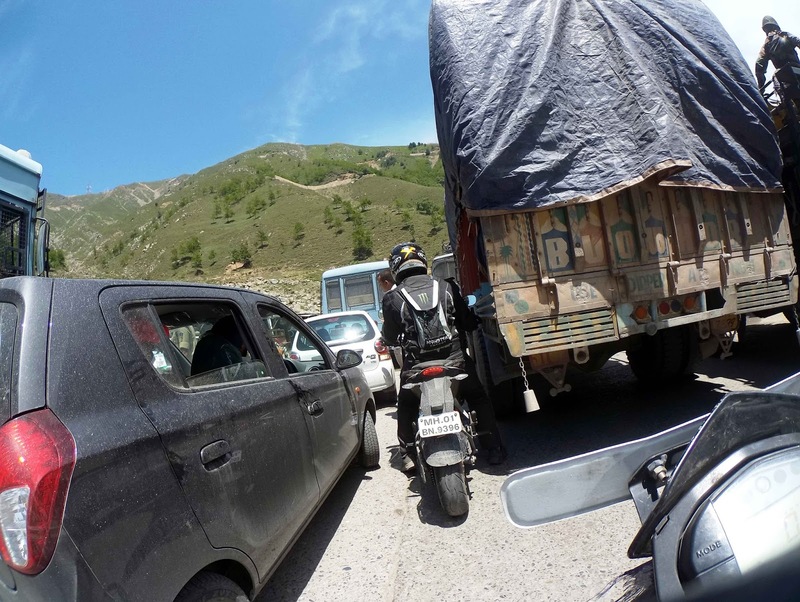 As we left for Srinagar the hills were decent with some traffic was starting to build up. We were able to manage through traffic jam sliding between trucks. Then the roads became bad, muddy and slushy. Suddenly my rear brakes got jammed .It was very strange. A quick look and it seemed the brake pistons were jammed. I was then looking for a mechanic to just open the brakes and see what’s wrong but nobody was ready to look on as they were busy with fixing big trucks. After some time surprisingly we spotted the Bajaj service station. They replaced the rear brake pad and we moved ahead as KTM shares same rear disc pads as of Bajaj. 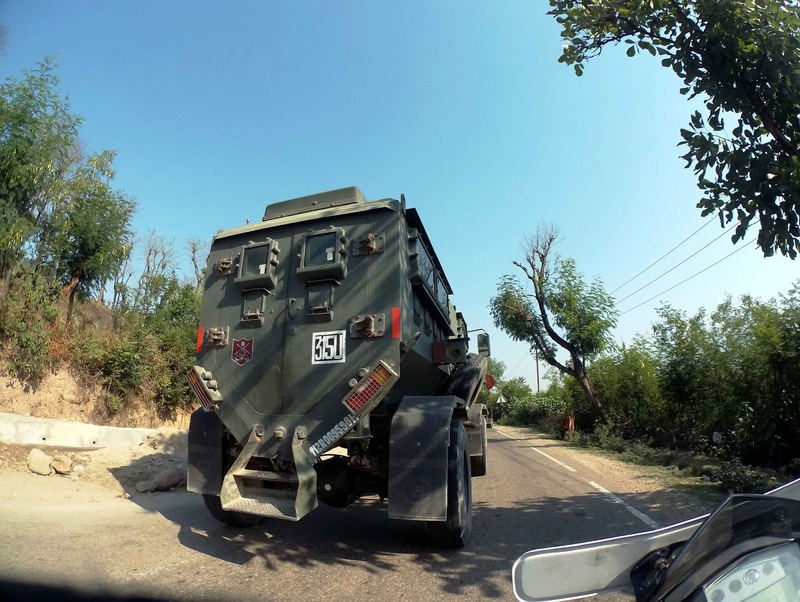 We moved ahead to our next destination Anantnag. 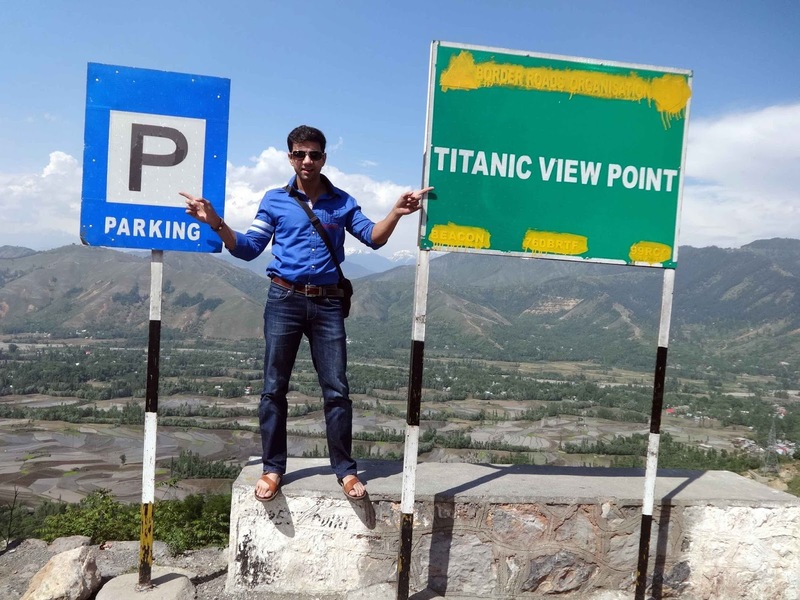 I was very much keen to visit this place and it was en route to Srinagar some 63 km before. While riding as we were about to reach Anantnag, there was this Jawahar tunnel named after Jawaharlal Nehru. Police personnel were allowing only one vehicle at a time to pass and there was a long queue, while on bikes we stopped for none. As I entered the tunnel it was narrow but was empty and I was riding fast so as to cover it quickly. Then suddenly a big truck came into my way. 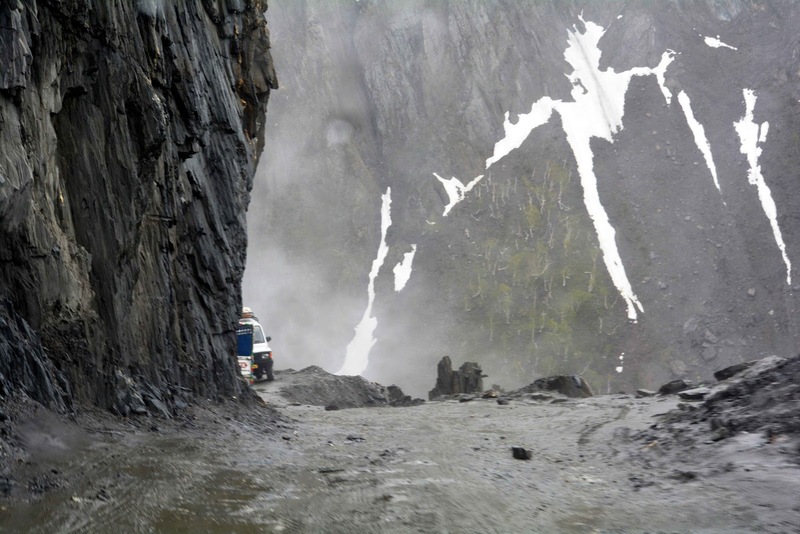 The truck was moving very slow and there was no space to overtake so I waited patiently for tunnel to end. To test my patience the tunnel was long and later I came to know it was 2.85 Km in length. Just before Anantnag we stopped for lunch and as soon as we finished lunch car people came. 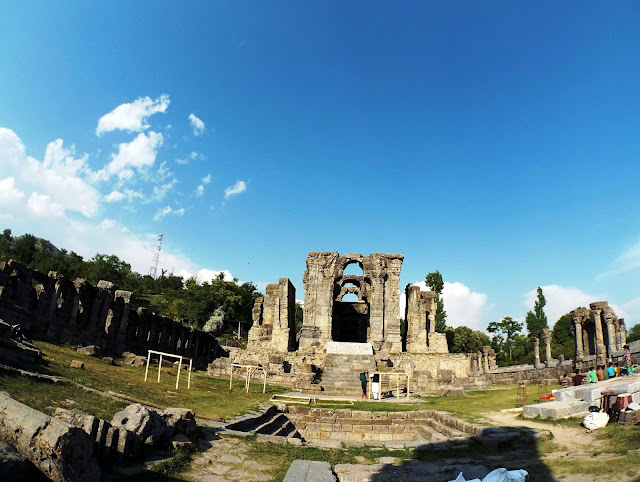 I told them we are moving ahead and taking a little detour to Anantnag city to visit Martrand Sun Temple. As expected the car people were not interested visiting this place so we moved quickly. 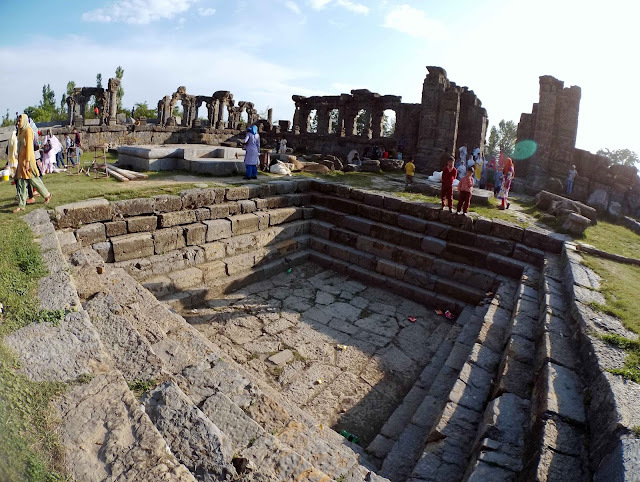 Just some 10 km into the Anantnag city, we found our way to Martrand Sun Temple. I have seen this on TV. It was beautiful. 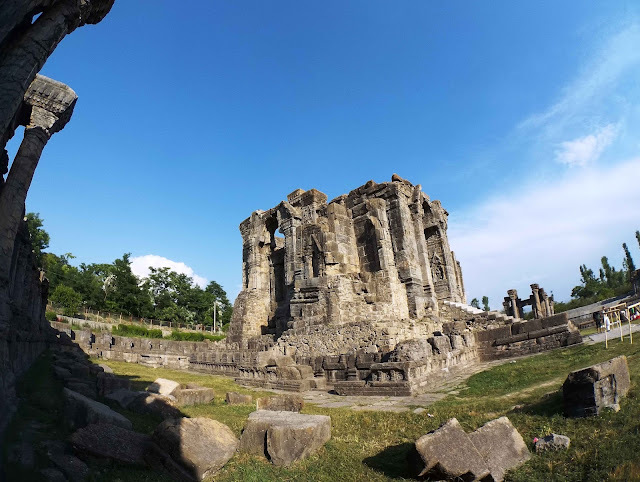 The temple was built by the third king of the Karkota Dynasty, Lalitaditya Muktapida in the 8th century CE. Over the course of a year, the temple was destroyed by Islamic ruler Sikandar Butshikan in the early 15th century CE. 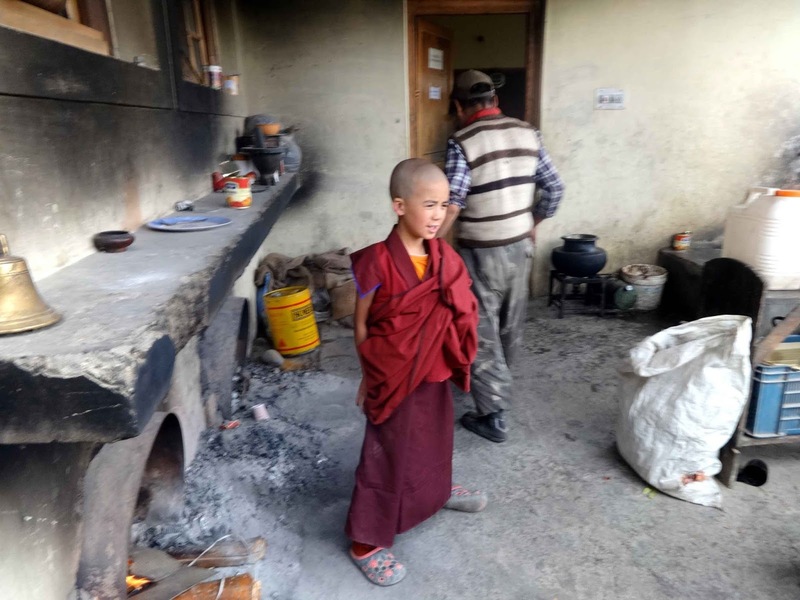 It was left burning for two years but the fire still could not annihilate all. The ruins are what left today. 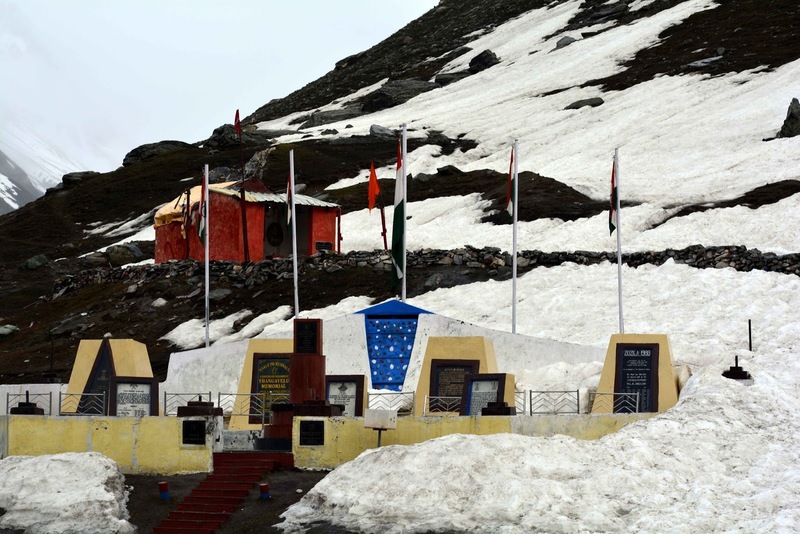 This temple was also selected as background for song Bismil in movie” Haider”. On our return the road was as usual bumpy. 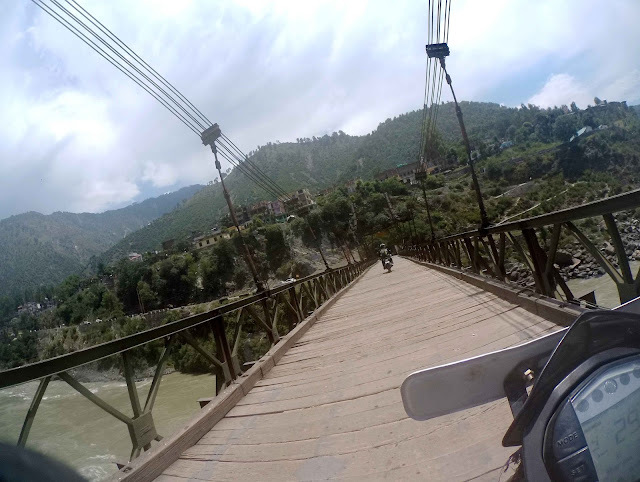 I had my camera HTC RE mounted on handle bar with the mount provided by Rahul (his Sjcam’s). I knew all the road vibrations were going in to the camera for the last couple of days then suddenly it toppled and was gone. I was riding and I saw it happening. I immediately stopped the bike, went back and saw camera lying on road. It was into two pieces with base still attached to bike’s mount and camera lying on ground. I asked Sud to stop and wait as I was gulping down what happened but was OK in no time maybe because same I had experienced earlier also. 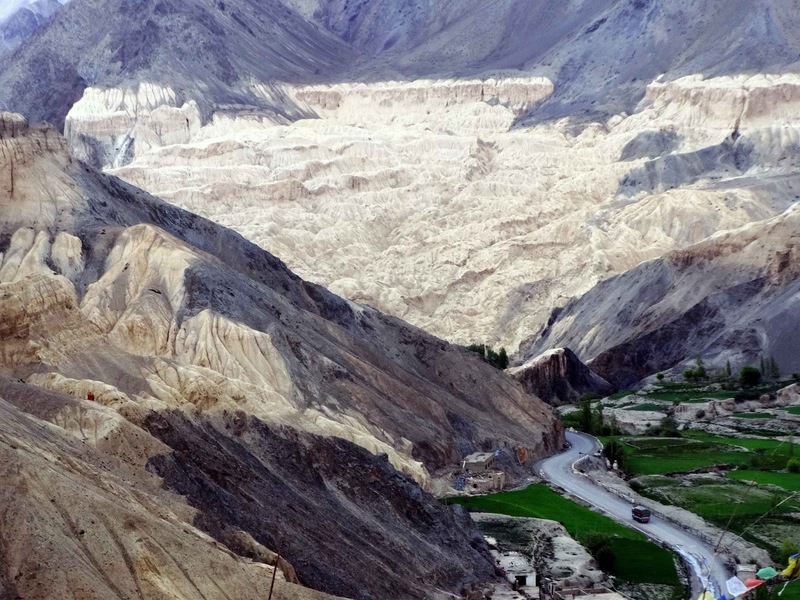 In my last trip to Leh I borrowed Shekar’s friend camera and dropped it at the hilltop in Kaza. This was second time and I was Ok without much pain and regret. Next we went back to Srinagar highway and by night we reached Srinagar. 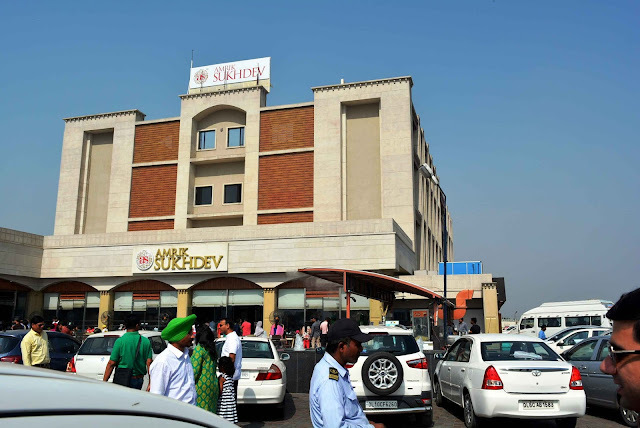 Bunty had taken a flight from Mumbai to Srinagar and had also taken up hotel rooms for us in “Hotel Ocean Resort” Central market, Lal Chowk Srinagar. Car people had already reached the place and Rahul asked me to go and check for liquor shop for him since I had a bike so I obliged. I took Prateek along. Srinagar city had closed down it must be around 10 Pm. I asked one fellow biker for the shop and he said just follow him as he was also going there. He took us near the shop and he parked his bike and was walking fast as the shop was about to get closed. We also followed him on foot suddenly it was too dark and we lost him. Then from dark a guy came up to Prateek, he looked drunk with one hand forward and one hand behind his back (looked like as if he was holding something behind) he asked for the bag from Prateek which he was carrying. I was standing behind Prateek and could not get the entire situation as I was looking around for bags, thinking which bag this guy is talking about. Then the guy asked again pointing at the small bag which prateek was having and which had all our money. Prateek quickly pushed the guy back and asked me to just run for our bike. 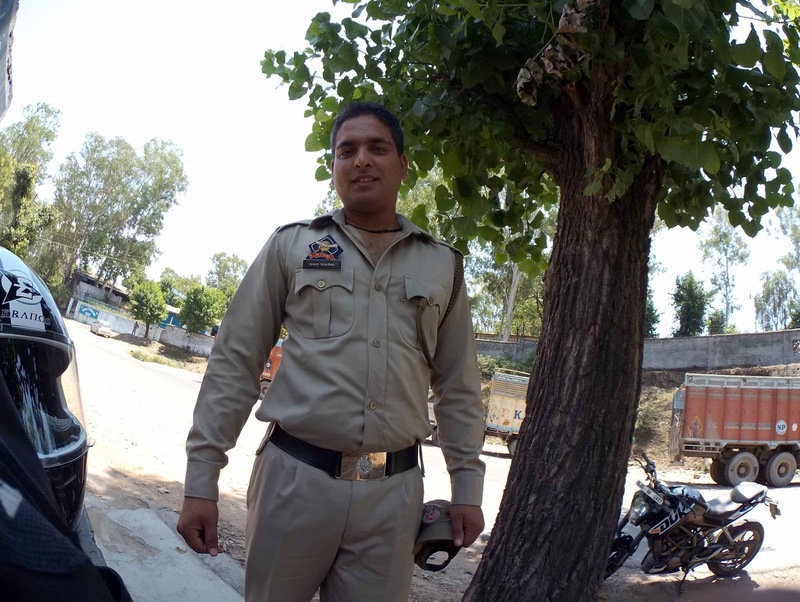 Later at the hotel Prateek narrated the story and people started laughing as we almost got mugged. 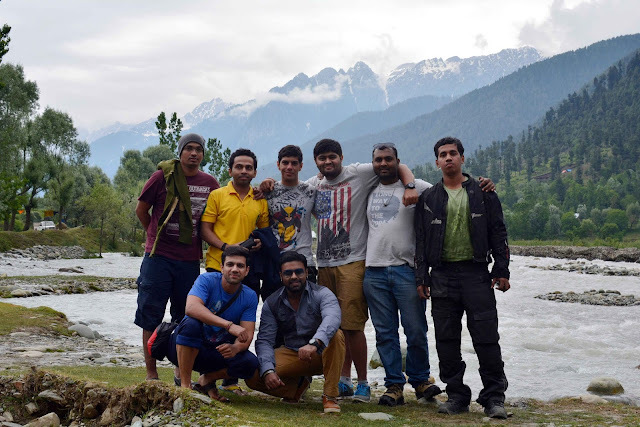 So by the end of Day 3 reached Srinagar from Patnitop some 200 km we covered. Today we decided to go to KTM service in Srinagar first to fix Shekar's bike starting problem. 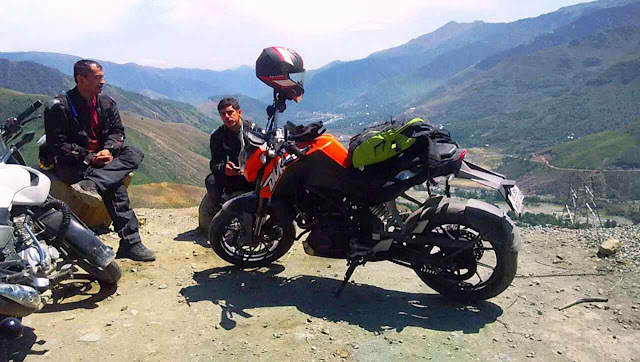 So Shekar, me and Bunty (now riding on Sud’s 390) went to KTM service while Sud joined the car people and went ahead to Kargil. At the service after checking up the service guys said that one of the sensor which helps to start in cold needs to be replaced. Considering the cost involved since it was a rented bike we decided to let it go as it is and we moved ahead to Kargil. 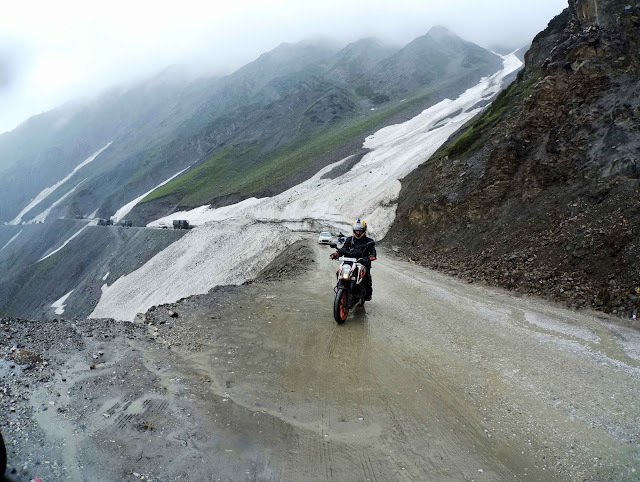 Today was the day which we riders were talking about much as we had to cover Zoji La Pass en route to Kargil. The highest pass between Srinagar to Kargil at 3528 m .As we left the city the weather became pleasant. The road side view became nice and just outside the city we stopped at the Dhaba with river Jhelum flowing alongside. I called up the car people they were again behind and we waited for them meanwhile clicking some pictures around. 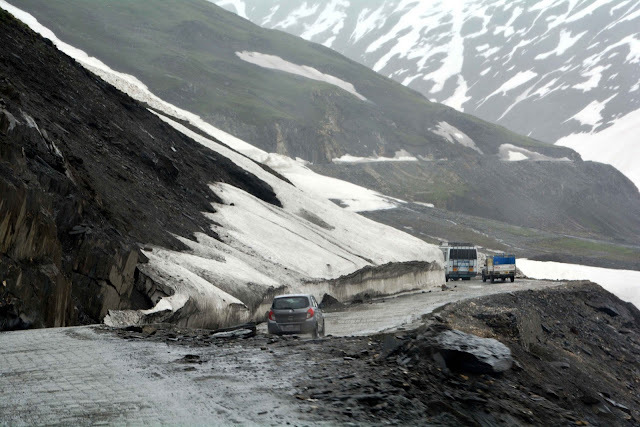 On approaching Zoji La the road condition became bad. It was raining heavily and the traffic jam at the pass seems quite common up there. 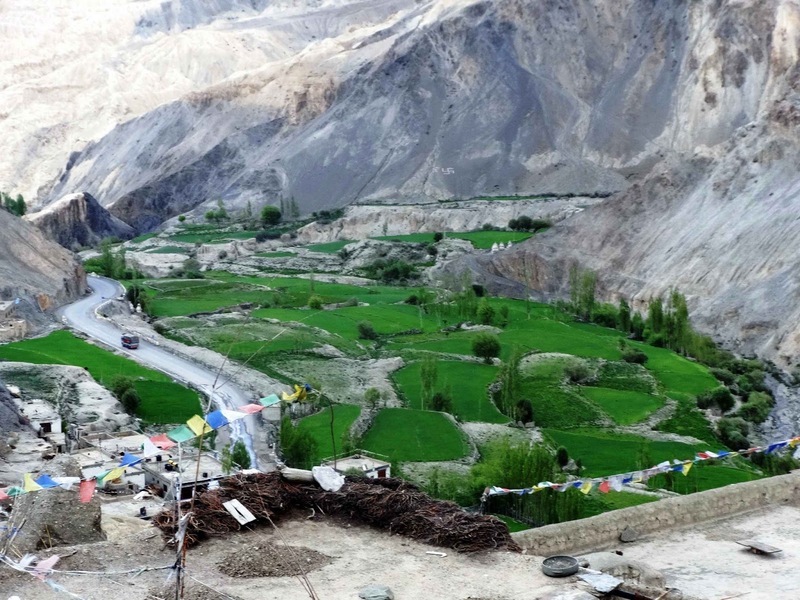 It took us entire day to cover the mighty Zoji La. With continuous riding in snowfall and rain our hands and feet were frozen. 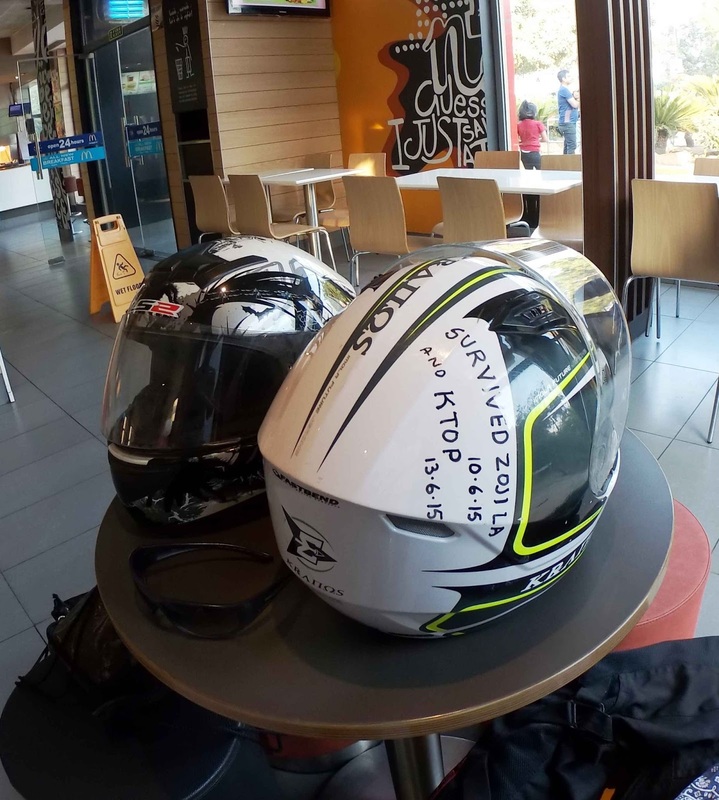 We had to often stop, remove our gloves and touch the engine to warm our hands and then continue riding. 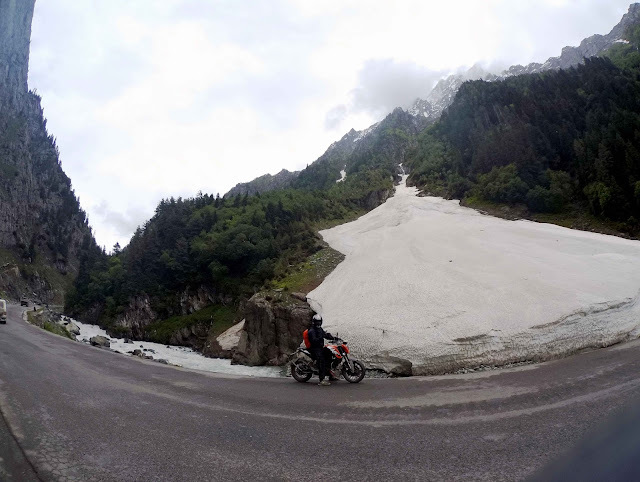 It was tough covering that long bad stretch at the pass with big potholes covered with water from the melting snow but in the end it was prolong fun and extreme adventure. Invest in good thermal gloves and waterproof boots guys! At the top the usual landslides were converted into avalanches so we had to ride with caution but BRO was always ready to clear the snow for the ongoing vehicular movement. On hearing that there was avalanche ahead, Sachin starting enchanting avalanche-avalanche stop the car instead of usual Om Ma Ni Padme Hum. The car people had to shut him up and continue .We outside were totally drenched in rain and somehow managed to reach Drass by evening and decided (had to) to stay there. 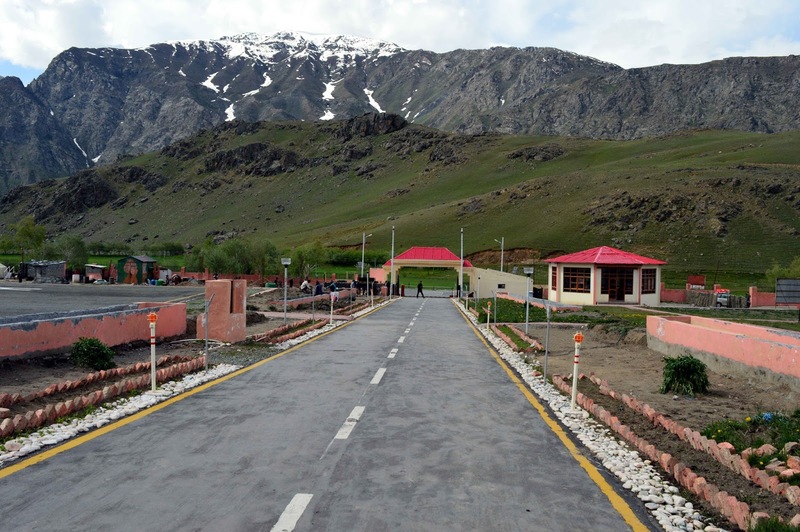 There are very few hotels in Drass and that too were occupied. I remember Munish Saini and me always talking about Drass and we had discussed quite often visiting someday, well here I am today and it was indeed beautiful that’s all I could say. The town was small situated at 3230m or 10990 ft. with Drass River flowing through the Drass valley .It is often called 'The Gateway to Ladakh'. We managed to check in one hotel .As soon as the hotel was done with so much we faced today; I asked a guy about booze for the night. He said don’t ask in this area openly still he said he can help later. In the night he was able to arrange through army quota and my friends were happy for the night. 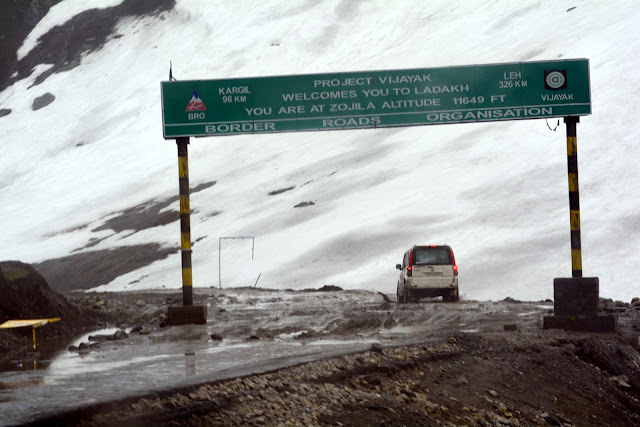 So much we been through today we have never thought, anticipated or experienced this kind of stuff, bad roads, water logging, huge potholes, rain, ice, snowfall, avalanche everything from adventure to the extreme. 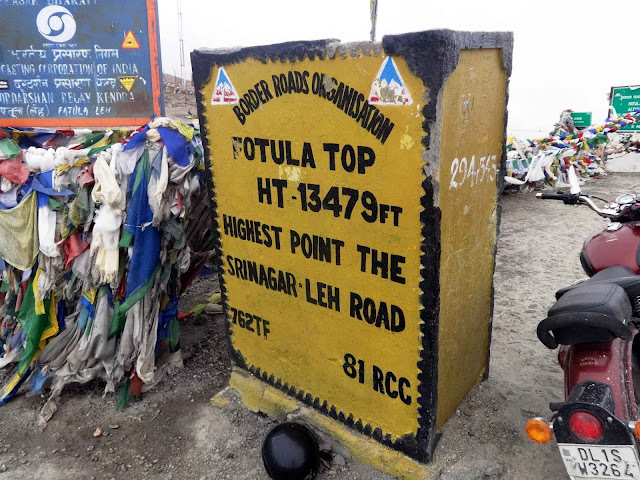 Then Shekar told me to arrange for a marker pen and write on our helmets that we were at the mighty Zoji La with today’s date so that we could remember it. Day 4: Started from Srinagar reached Drass some 145 km and what an exhilarating experience it has been today! 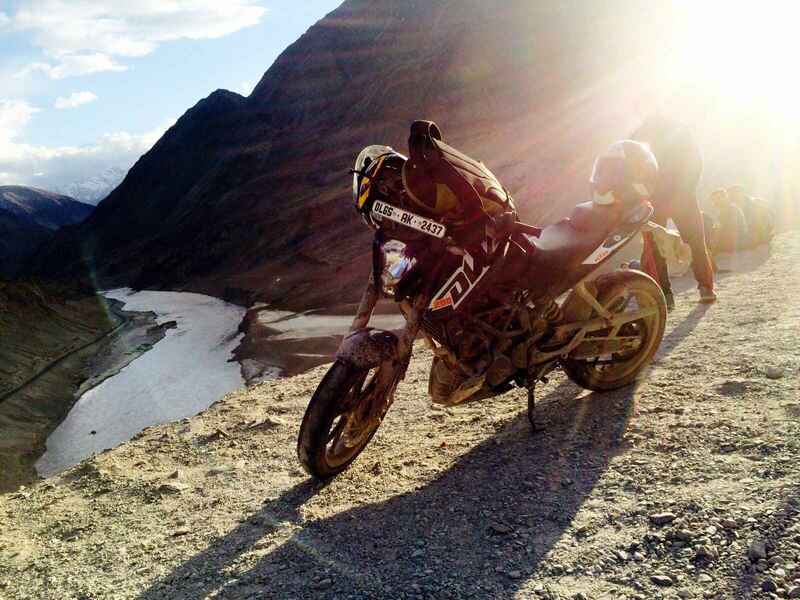 Again the morning started with some action again as Shekar’s bike (rented 200) did not start. We were all dragging and running with it. The entire town was out and watching us as the drama continued. Finally after half n hr it started and we all moved ahead to Kargil war memorial some 10 km from Drass. We finished the tour quickly clicked some pictures around but till then Sud who was riding my bike and he wasn’t there. So we went back to see and he said my duke 200 battery was low so he had to charge it and then jump start with the help of other battery. For us it was better we stayed at Drass (instead of Kargil) coming from Srinagar, since we could visit the Kargil War Memorial which is situated just 10 Km from Drass with ample time following the next day while Kargil was another 55 Km from the memorial. Today I was travelling in the car as we had just 3 bikes and now an add on Bunty as a rider so I decided to give my bike to Sud (he was happy) and I travelled in car. 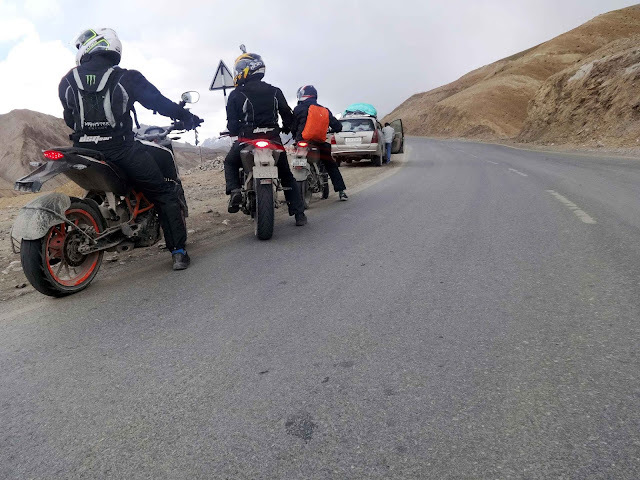 Sitting in car is very difficult I tell you .The road from Kargil to Leh was amazing with so many hairpin bends and I was wondering why I gave up my bike today why not yesterday as Sud travelled in car and I was out there at Zoji La riding on that bad road. Car people were dozing off easily, that’s what they have been doing for past couple of days. We met the riders on the way. The 390 tyre (Metz) was flat again and Sud instead of using the puncture kit, he was filling Air (ResQtech) and carrying on till he found a guy to fix it. He has of history of flat tires with Metz on a trip. 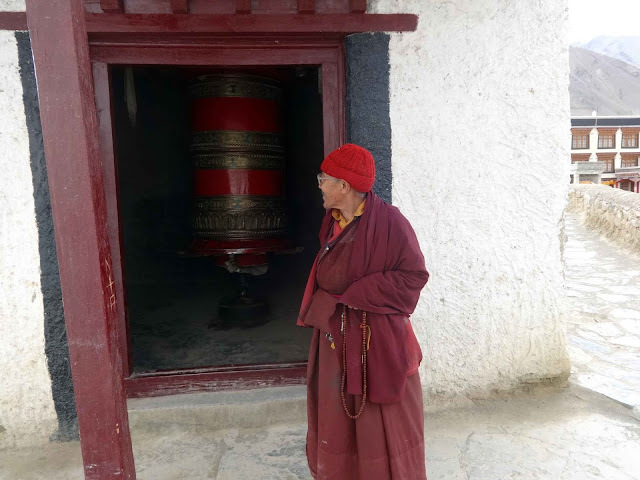 By late afternoon we reached Lamayuru and stopped to visit the monastery. After monastery we stopped at the confluence Of Indus and Zanskar. This is place which I like the most. It is amazing, mesmerizing and beautiful. 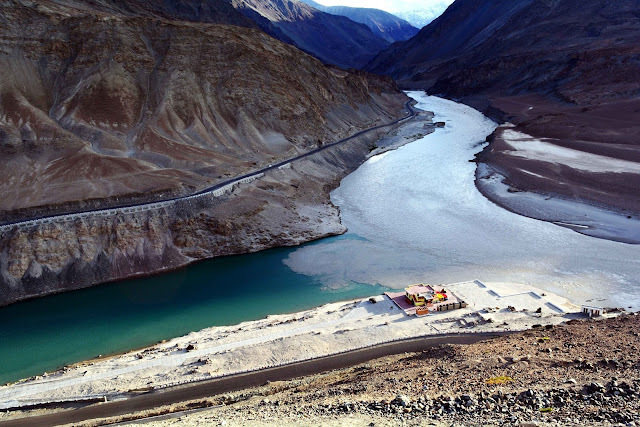 You can see the Zanskar valley (and I always wonder where is the Chandra Taal trek route) and the change in color of water at the confluence. Then we visited the Magnetic hill as it was on the way. 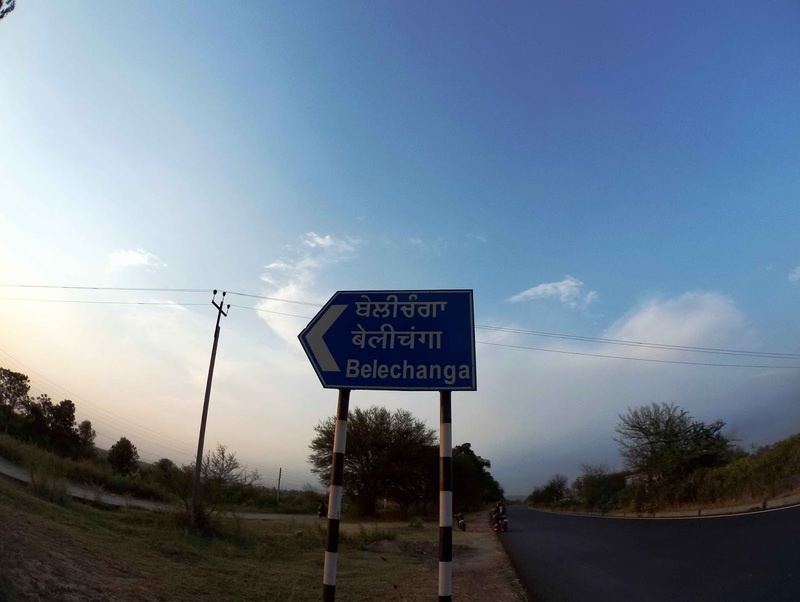 The last time I was here there was a board put up by BRO describing the place and there was marking on road but now the board has been removed and even the marking on road is no longer there. 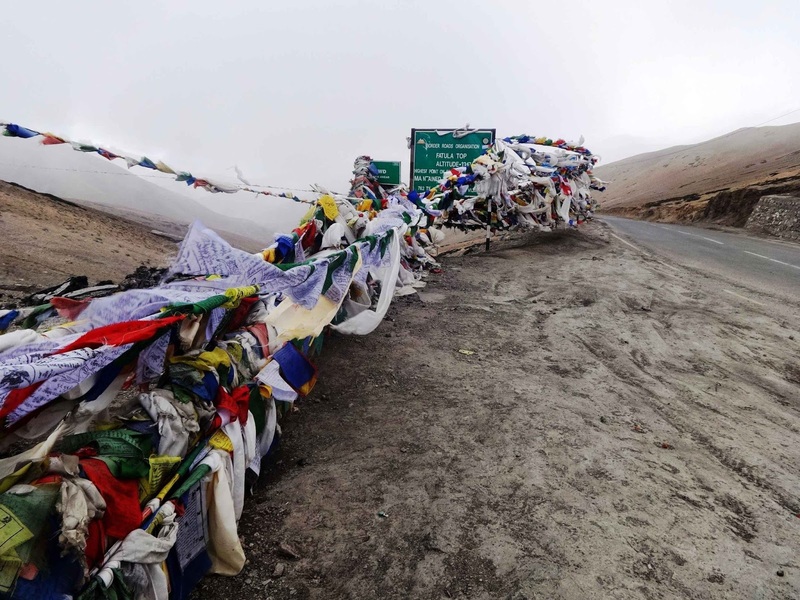 I didn’t find it good earlier also as it was not worthy (the title) and there was just hype around it which now other people also must have realized .After that we visited Pathar Sahib Gurudwara and we followed the road to Leh. 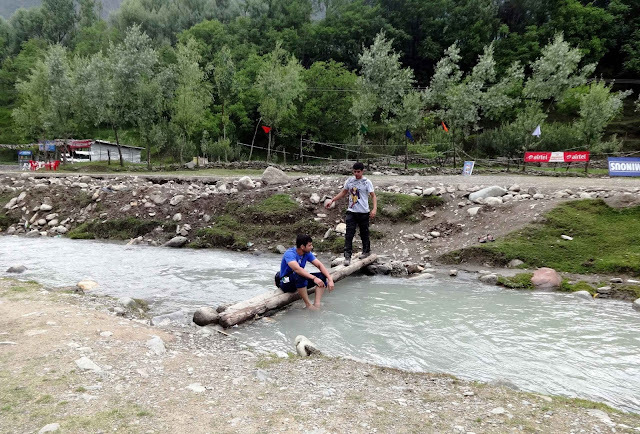 On the way there was a movie shooting going on for the movie “Sanam Re” and actors “Pulkit Samrat” and “Urvashi Rautela” was sitting road side and people gathered. We had a quick close look and then went straight to Fort Road, Leh where I stayed last time but it was booked so we checked in “Hotel Sujata”. The room tariff was 1200/day. In the night we went to Lamayuru restaurant. I like this place but was closed down as we were late so we ate at some other place with Wi-Fi around we were happy. 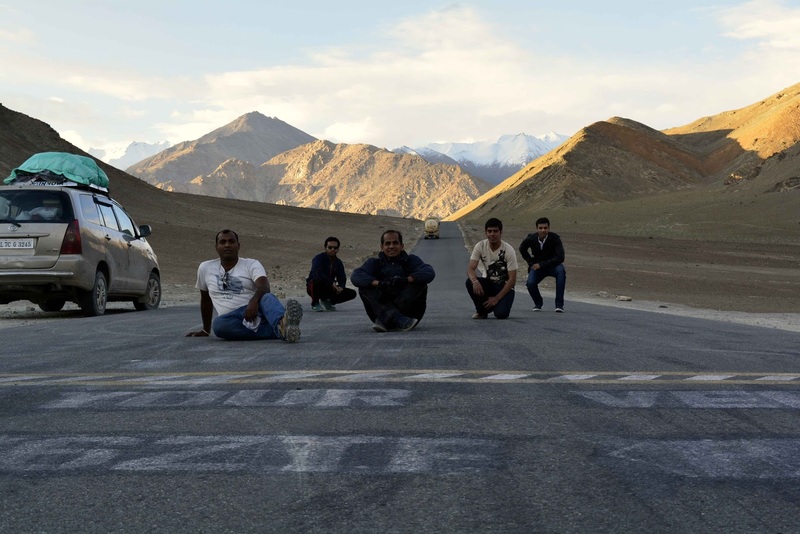 In the end of Day 5, we finally reached Leh from Drass covering 290 km. Adi check video. It's not working. amazing report...feel lyk been der yesterday. Hi Sathish. Have checked and video is playing. Can you try again? Enchanted Rock is a Texas State Park that is in the middle of the hill country. It provides great hiking and camping and is near cities such as Fredericksburg Texas, Llano and Johnson City.